Da Nang has amazing geography, food, weather, people, and much more. 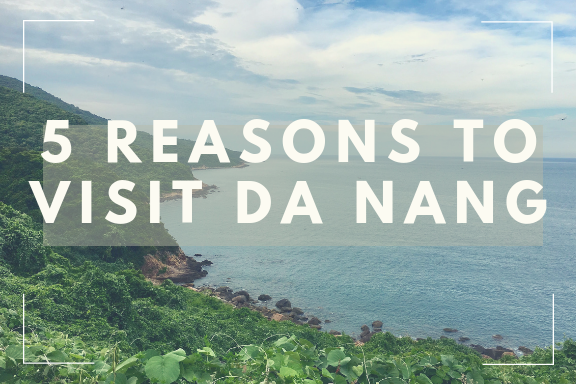 Here are the five best reasons to visit Da Nang, Vietnam. We hope that they will convince you to pack your bags and book your next trip to our lovely coastal city. The weather in Da Nang is marvelous! 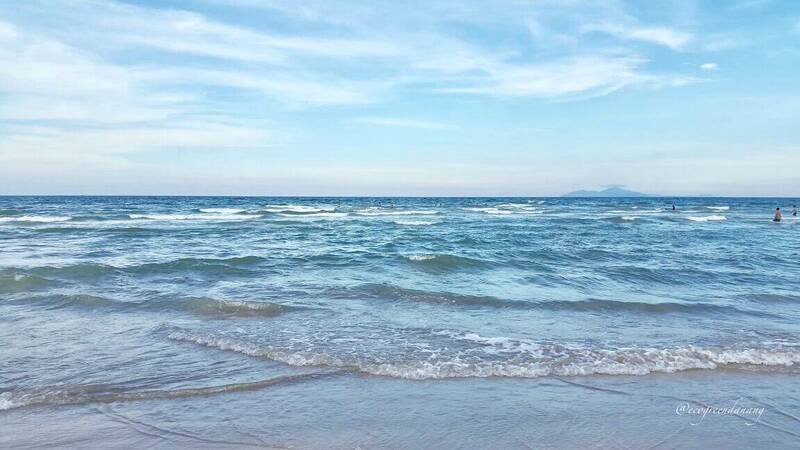 The summer in Da Nang from May to September, commonly known as “dry season”, can’t be more charming with beaches in the colour palette of sapphire blue, white sands, and endless sunshine. If you are not familiar with the heat of a tropical country, we recommend October to April to visit Da Nang. Although this time is known as rainy season, don’t be anxious about the “bad weather”! The average temperature is comfortable at maximum 25 °C and the sea is not cold to dive in. Based on our local experience, it is sunny most of the time and the rain usually comes a few times a week, usually in the late afternoon. Da Nang is the one of most worth living cities in Vietnam, a city with the harmony of mountain, sea and river. Speaking about the mountains, we have the marvelous Monkey Mountain and Marble Mountain, a perfect destination for nature lovers and mountain hikers. Marble Mountain, is 15 minutes drive from Eco Green Boutique Hotel. 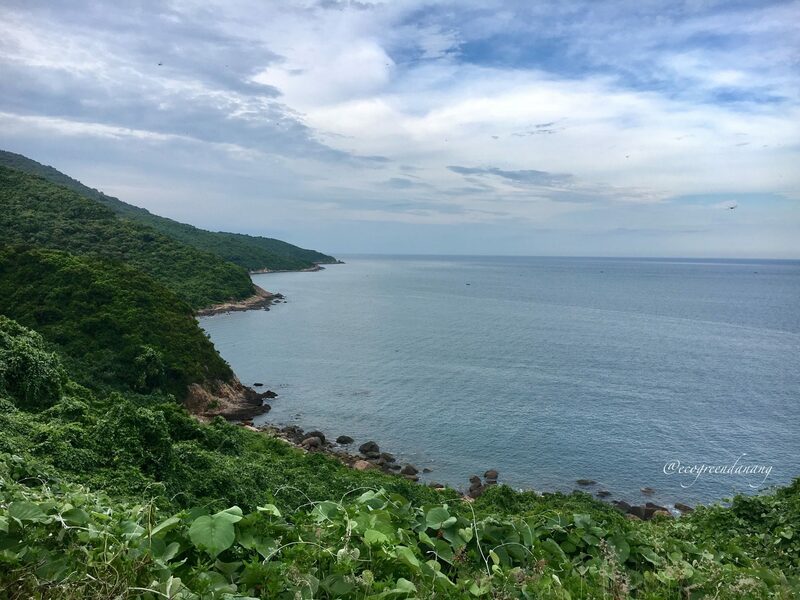 Son Tra Mountain, commonly known as “Monkey Mountain” gives you a breathtaking view over the ocean and the city. Depending on how high you would like to drive up, it would take approximately 15 – 40 minutes. And the beaches? A long coast of more than 10 kilometres offers more than ten fantastic white sandy beaches. Make sure to check out the signature landmark of Da Nang: the symbolic Han river in the middle of the city. The Han river with four remarkable bridges represent Da Nang as a young, dynamic and developing city. The city view when standing on top of the Dragon Bridge is not to be missed! It is convenient within 10 minutes by drive. 3. A convenient centre connecting to Hoi An, Hue, and My Son. 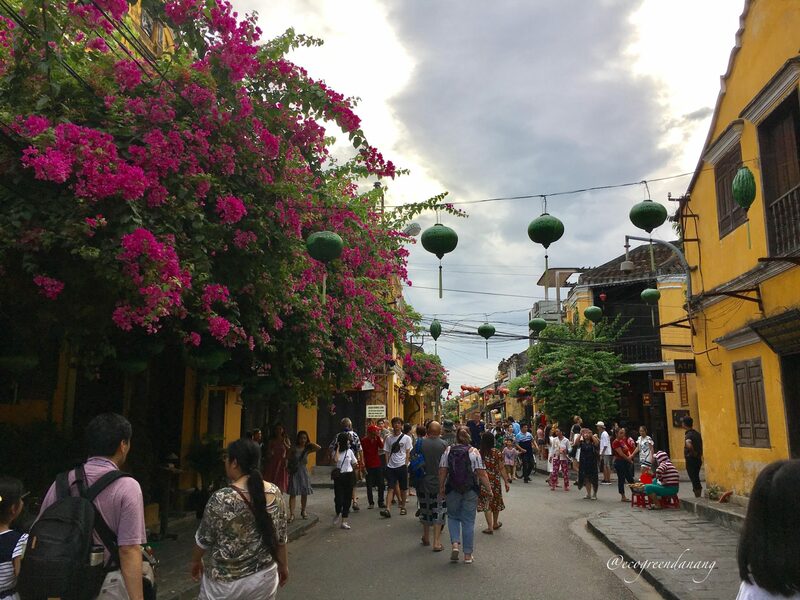 Hoi An is a lovely ancient town filled with colorful lanterns. From Eco Green Boutique Hotel, it takes approximately 30 minutes by private car or public city bus. From Hoi An, you can easily visit Cham island (Cu Lao Cham) and Bay Mau Coconut Forest in 15 – 20 minutes drive. We will introduce these destinations in our future blog posts! My Son Sanctuary is about 70 km from the southwest of Da Nang centre. Preserving the ancient beauty of the vestiges of the Champa dynasty, My Son was recognized as a UNESCO world heritage site in 1999. From Eco Green Boutique Hotel, it takes 40 minutes to travel by private car. Unfortunately there is no public bus to this destination. Hue is our ancient capital of old Imperial Vietnam. From Da Nang, you can easily travel to Hue by public train or private car within 2 hours. The city is famous for the Imperial Citadel and tombs of the old emperors. 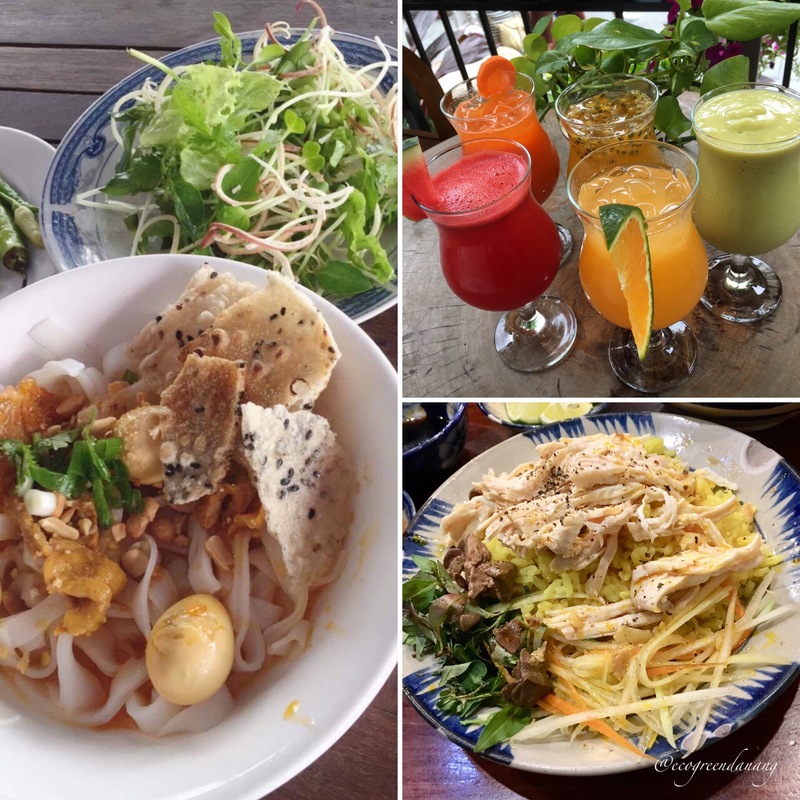 Discovering the diverse cuisine of Da Nang is a must-do! The local specialties are very tasty and represent the unique culture of central Vietnam: Mì Quảng(Quang Noodle), Bánh Tráng Thịt Heo (tasty pork and veggies wrapped in rice paper), and Banh Mi Hoi An (Hoi An baguette). Moreover, there is a wide range of tasty foreign dishes such as Korean BBQ and hamburgers. All dishes are sold at very reasonable prices (~ $2 – 5 per person). Delicious local noodle and fresh tropical fruits. 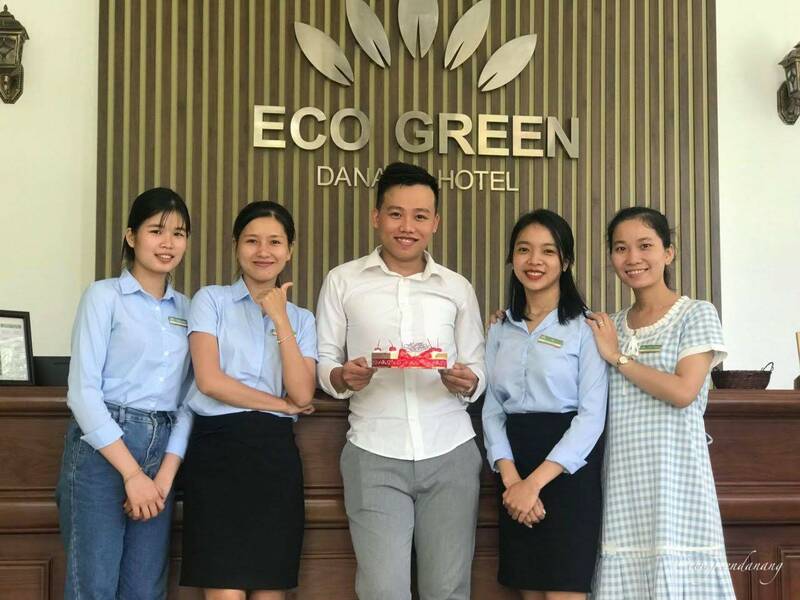 When visiting Danang, you will meet local people who are warm-hearted, kind, hospitable, and friendly! We are more than willing to help with directions on the street, introduce some local dishes, or any other difficulties you may have when visiting. A quick look of who we are as a team! There are still many interesting aspects about Da Nang that we would love to introduce. Keep an eye out for “5 Best Beaches in Da Nang” coming soon!